What a week! Seriously, I definitely did not see that coming. What am I talking about? Well, read on in case you missed something. On Monday, we got new DOT make up. This time, we got make up products in various shades of brown and beige. Perfect colors for Fall... except it is not fall yet. But seriously, colors are really nice, especially for darker skinned dolls. As it turns out, Stardoll started thinking about darker skinned dolls more than usual. But about that later. Anyway, I really love this collection, and it is cheaper than Transform make up, which has got similar colors and shades. Definitely good investment, and I wouldn't wait for a sale, but I won't rush to buy immediately either. 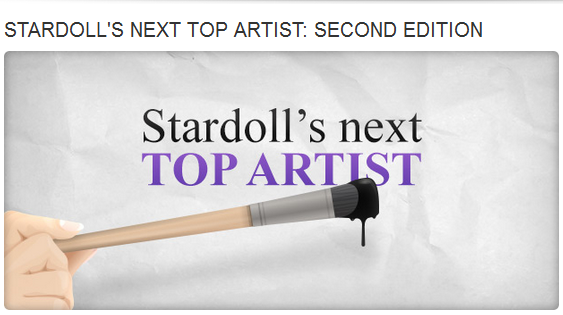 The same day, Stardoll announced a round 2 of 'Stardoll's Next Top Artist' contest. The rules and conditions are the same as at the 1st installment of this contest. You have to create something unusual using stardesign. Even they say you could use any stardesign function, they will mostly focus on designs made in Hair Design Studio. Seems like Stardoll liked the idea of user created items, and users loved it too, so no wonder we got round 2. As you could see in the comments of USD, there are some really good submissions, and I am looking forward to seeing what other members will come up with, and how will Stardoll transfer them into buyable items. I am hoping for less paintings and stuff, and more 'useful' stuff, like clothes or.. well, clothes mostly. On Wednesday, we got new Callie's Picks collection - 'Go For The Gold'. I wasn't impressed much by spoilers. Ordinary, not so rare stuff, not so appealing either. But one thing surprised us all. No one saw it coming. Seriously, it wasn't even in spoilers. I am talking, of course, about the infamous Ashley Hermes Birkin bag! 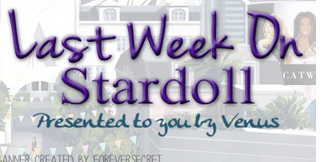 Yeah, I couldn't believe it either that they re-released the best bag on Stardoll ever! Now, as I said, the rest of the collection is pretty random and average, but the bag.. Seems like nothing is sacred on Stardoll, they can re-release, well, anything. Not that I am complaining. On Thursday, Stardoll announced a 60% off flash sale in Riviera, for certain floors at least. ... And then buy them. Take a look at this offer we got a day after. Yeah, I've been waiting for an offer from Stardoll, but not like this. Still, many users were influenced to buy those gold coins, preparing to a release which will I mention later. Anyway, even 15% extra stardollars is not much, it can be useful for users who buy large amounts of stardollars, and maybe so you can snag an item that has been on your wishlist forever. Or to buy something from following release. Yeah, it is a brand new collection of Strike-a-Pose!! So soon? Yeah, I am wondering that too. We were supposed to get each collection in 6 months intervals, but this one was released 3 months after previous release. But this was not an ordinary collection. Instead of having gray areas for tights and gloves, we got items in 'ordinary' skin tones. We'd get each item in 3 different skin tones, and each one had different colored clothing item. I like the idea Stardoll decided to release stuff for darker skinned dolls, giving them more stuff to play with, and maybe encourage other users to try using darker skin for their dolls. It was quite limited and sold out pretty fast, at least lightest skintones. So there is no surprise Stardoll decided to restock the collection the following day, at least lightest skintones, with 400 extra pieces per item. I like the idea, wish it wasn't released so soon after previous one, as none of us expected it that soon. Anyway, not the best, neither the worst collection, - but definitely something new. So that was it for the week. What else? Heritage tribute is leaving plaza, closing the tribute season. Tomorrow we are supposed to get new nailpolishes, but I will write about that next week. Until then, vote on the poll, comment, and see you next week.